CBC House is a renovated school building comprising of quirky staircases covering three floors. We offer serviced offices for 2-16 people, please see our Serviced Office page for more information. 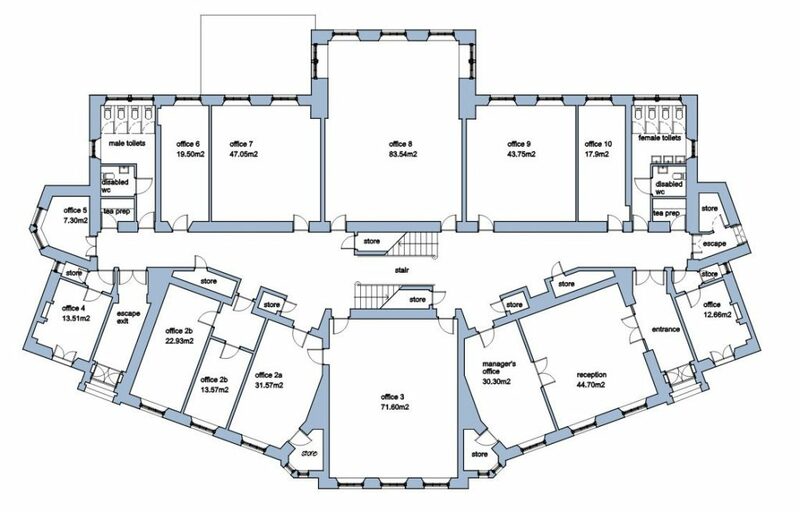 Below you can find the floor plans of the building showing the office sizes.